In our previous blog, we detailed some excellent ways in which horseback riding can help children who come to us for riding lessons. Not only does horseback riding help kids physically with balance, but it also provides excellent exercise for the brain. 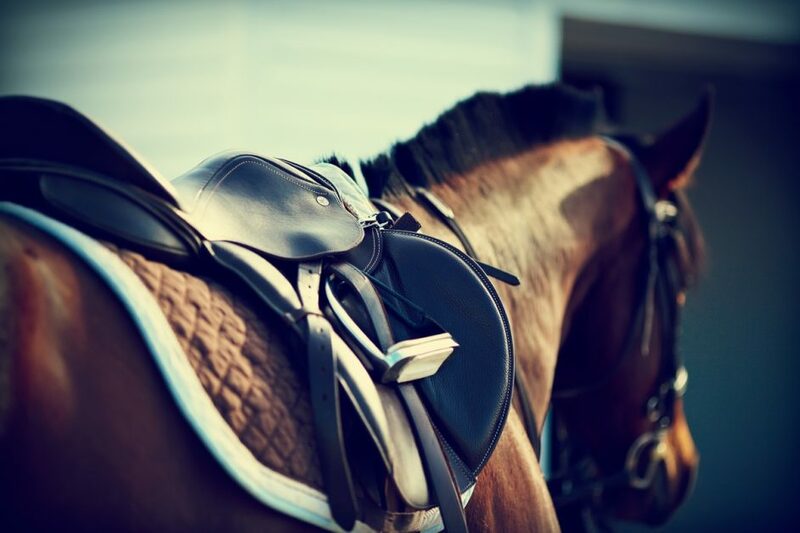 But one blog wasn’t enough to contain all of the benefits of horseback riding! Here are a few more ways in which it’s an excellent activity for children. Learning a new skill is a lot of fun, but it also improves a person’s self-confidence. Think back to the last time you learned a skill and how that made you feel. Something similar occurs with horseback riding and kids (or adults, for that matter). When kids are able to get a horse to move and make the horse head in a certain direction, it not only improves their self-confidence but also gives them a sense of power. After all, they’re in control of a creature that weighs more than 1,000 pounds…that’s certainly going to help them feel better about themselves! As long as a person is kind to them, our horses love people. And you won’t be surprised to learn that the children who come to us for horseback riding lessons end up having a favorite horse. Like most companion animals, people are drawn to them because they’re willing to work with humans in order to accomplish a goal. But we’re also drawn to them because they are friendly, and horses will remember the children from week to week as they come in for riding lessons at our stables. While we don’t like to admit it, kids get stressed. Homework used to start in sixth grade, and now it starts around second grade. Multiple (and nightly) activities are pulling kids in multiple directions at once, often invading weekends and holidays. Dance, martial arts, music lessons, chess club, sports, sports, and more sports are vying for attention. Yes, all of these activities are beneficial for kids and help them learn, but you can’t deny that it’s increasing the level of stress they must endure. (Kids also pick up on the level of stress exuded by those around them, so unfortunately a parent’s stress levels can affect children as well). So what’s the solution? We think it’s horseback riding. But wait, isn’t horseback riding just “one more activity” in a child’s life, a set time in the week in which they’re expected to be someplace? We can understand that thinking, but it’s important to think about the activity and the environment that kids experience while they’re out here. First of all, horseback riding is often kid-instigated, while sports for young kids are often parent-enforced. Second, horseback riding is fun and relaxing at the same time, especially the gentle rocking of trail riding. Finally, when kids are at our stables, they’re away from the sounds of the city and are surrounded by our bucolic setting. If there’s an extra-curricular activity that’s as relaxing and open-air as horseback riding, we haven’t found it! If your kids are interested in horseback riding, we’d love to see them here at our stables in Lake Worth. Schedule their first lessons today!